When most people leave for the Diaspora, their primary loyalty often lies with their host country. However, that was not the case with Cde Mary Mliswa, who despite her 18- year sojourn in the United Kingdom, yearned to return to Zimbabwe and contribute towards development. Hailing from a family whose dedication and commitment to the liberation struggle was unparalleled, Cde Mliswa knew in no time she had to pay her dues. Today she stands tall among developmental stalwarts, contributing to the Second Republic after winning the mandate to represent the people of Hurungwe West and her subsequent appointment as Minister of State for Mashonaland West Provincial Affairs. “Capacity is seen through results. I am humbled that people appreciate my resolve and hard work. “What differentiates us at the end of the day is the quality of work we put in and this is what got us the victory,” she said in an interview recently. Cde Mliswa’s victory and passion to serve is deeply rooted in her upbringing following her father’s selfless dedication to the liberation struggle. “I grew up in a home that introduced me to the political world at a tender age. My father was a decorated veteran of the struggle. It was this set-up that inspired me to be actively involved in politics to ensure that I could contribute towards national development,” she said. The burden of the struggle became her passion, seeing the comrades visit the Mliswa homestead for foodstuffs and moral support at the height of the liberation struggle. Although she was a little girl then, Cde Mliswa was placated by the camaraderie displayed from both ends, setting her mind ablaze with the burden of wanting to stand up and do something for her fellow countrymen when the time was right. The fighters’ dedication and sacrifice stirred Cde Mliswa to aspire to be a servant leader, a direction she was to take decades later. “My dad was always there to give answers to my curiosity. He is the man that largely set the foundation for my career. His involvement and dedication fuelled my zeal of wanting to change the world,” she said. Cde Mliswa later left the country for the United Kingdom together with her other siblings in 1992, when she was 17, giving her an opportunity to appreciate her home country more than before. “Growing up in the Diaspora empowered me with a critical global world view. Staying in London itself challenged my mindset and made me passionate about wanting to go back home and provide solutions to the problems that our country was seized with,” she recalled. Having become a political animal through teachings and experiences she encountered at home, Cde Mliswa joined the ruling Zanu-PF party while she was in the UK, and started following events back home. “As I have alluded to earlier, I was introduced to politics at home. A child does what his father does, so they say. “It is this strong political socialisation at home that caused me to always be active politically,” she said. As she toiled while in the Diaspora, deep down, Cde Mliswa knew she would one day return home and actively participate in politics and national development. During her stay in the UK, Cde Mliswa was greatly disturbed by the negative publicity on Zimbabwe at the height of the land reform programme. Cde Mliswa returned home in 2010 at the behest of his brother Hon Temba Mliswa, National Assembly member for Norton. “Amongst my siblings, my brother Hon Temba Mliswa and I are wired the same in terms of our political mindset and passion. Accordingly, he played a crucial part in my coming back home as he came back way ahead of me,” she said. Soon after arriving home, Cde Mliswa received her political tutelage from her brother, Hon Mliswa, who had already established himself as a businessman, sportsperson and was in the process of carving his own political piece of history. “After arriving home, he then showed me the ropes and I became his student. “At that point, I wanted to make sure I get a thorough understanding of how the system works. Thus I spent a great deal of time being Hon Mliswa’s apprentice and I eventually decided to start my career with and amongst the people,” she said. Being a fast learner, Cde Mliswa started her politics from the grassroots at cell level, “musangano kuma sero,” scaling her way until she eventually joined the provincial structures. Having established herself well within the structures, becoming the face of Temba’s campaign in 2013, Cde Mliswa did not struggle to sell her political curriculum vitae when she threw her hat in the basket for the 2018 harmonised elections under the Zanu-PF ticket. “My campaign had long started. It officially got activated after proclamation, but I was already doing the job and working with the community. “What a lot of people do not know is that I played a crucial role in Hon Mliswa’s victory in my constituency in 2013. 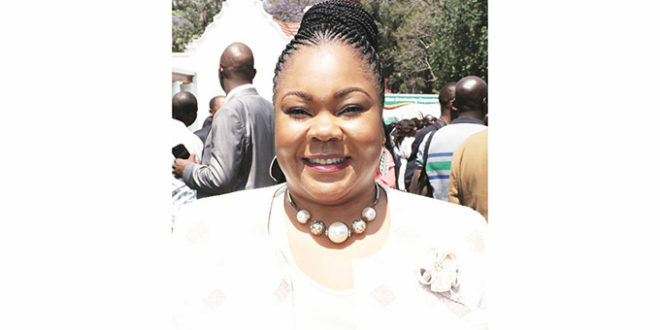 My service in the community dates way back and when Hon Mliswa found a new home in Norton, I stayed behind because of the bond that had grown between the community and I,” she said. At one time she served as the chairperson of the Hurungwe West Development Association, championing the development agenda. “It was the testimony of our work that made the people approach me and request me to run as the National Assembly member for Hurungwe West and I humbly obliged,’ she said. Having worked with the community for a long time on a number of developmental projects, while observing the traditional norms and values for the local people, Cde Mliswa did not face many challenges during the campaign period. “Hurungwe West is mainly rural, so the first and important thing I did was to respect and grow to love our chiefs as they are important stakeholders. “From then, I set up structures within all the wards and made sure I invested in an audit of Hurungwe West’s needs and aspirations,” she said. Her decision to sanitise the operations within the wards resonated well with Cde Mliswa’s campaign message of focusing on home-grown solutions. Some of the developmental projects that Cde Mliswa undertook in her constituency include sinking boreholes, road resuscitation, reconstruction of bridges and electrification of three schools in Hurungwe West. “Besides the projects we did, our biggest asset was our honesty, hard work and track record. It was not easy, but the hand of the Lord sustained us,” she enthused. Like any other mission, the election campaign was not without challenges. 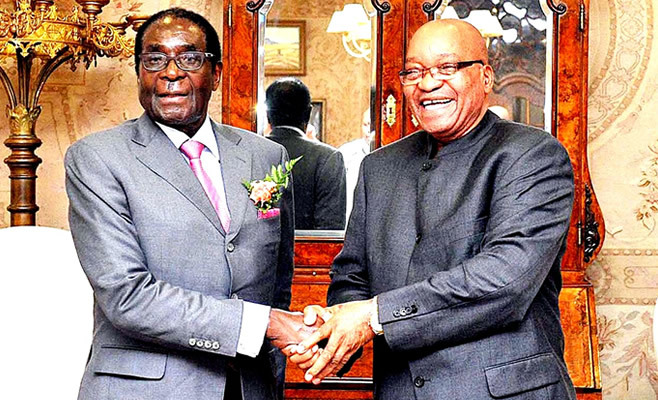 “The primary election was fiercely contested and sadly other comrades resorted to violence and backlash after losing. But we took this by the stride and we were able to rally our people and move forward,” she said. Following her election as the MP for Hurungwe and her subsequent appointment as the Provincial Minister, Cde Mliswa is ready to take her tasks head on. “In the constituency, we have a number of challenges. Poor road networks and a number of centres are not electrified. We also need to invest in infrastructure in our schools and clinics. “I intend to use my position as a legislator and Provincial Affairs Minister for Mashonaland West to lobby central Government in availing those resources for the community,” she said. During her tenure in Parliament, she plans to push for political parties to adhere to the Constitutional provisions on gender equality. Cde Mliswa also urged women to put their feet on the political pedal and define their future. “To my fellow sisters, let us dare to become the change. It will not be given to us on a silver platter, we have to make the necessary decisions and sacrifices.